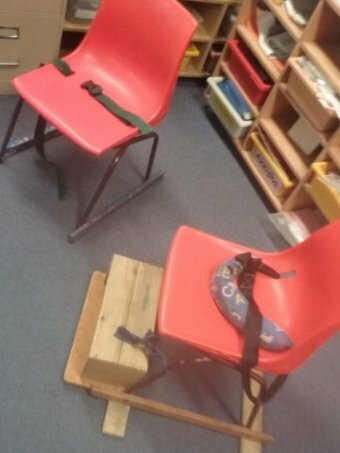 A mother whose autistic son was strapped to a restraining chair in class was asked if she would prefer a "more aesthetically pleasing chair" when she confronted the school about the seven-year-old's treatment. 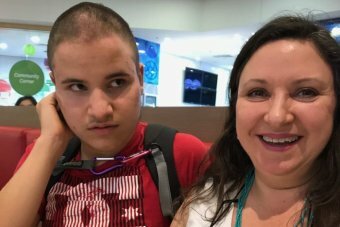 It's one of nearly 250 reported complaints of mistreatment of disabled children in NSW state schools in the past two years detailed in a government document obtained by 7.30 under Freedom of Information. Last year, Thomas Maker-North was strapped into two different types of chairs at Manning Gardens Public School at Taree on the NSW mid-north coast. 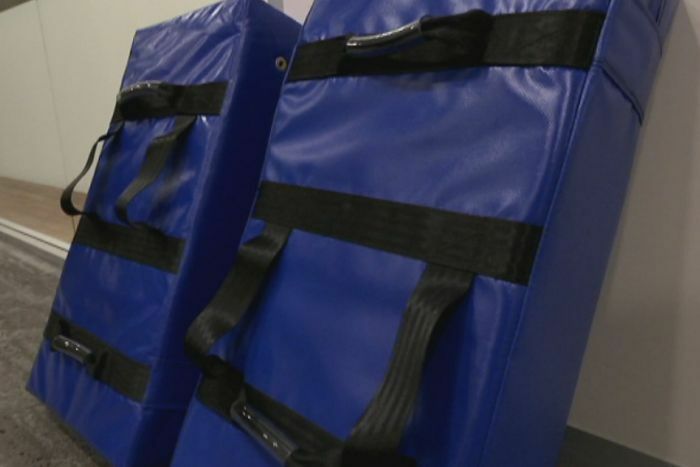 PHOTO: Two chairs Thomas Maker-North was strapped to in the classroom. Thomas has autism, is non-verbal, can't go to the toilet on his own and has an intellectual disability. His mother Georgina Maker-North said she was horrified when she discovered the chairs. "It's something we thought was happening in the '70s and went away in the '70s and we don't hear about it anymore. Since this has happened I've discovered it's quite common," she told 7.30. Ms Maker-North asked for a meeting with the school. "When I saw the chairs it was shown like it was a great show-and-tell piece: 'they were fabulous'," she said. "That was the exact words that was used." After making a complaint, Ms Maker-North received a letter from the NSW Education Department. "A finding has been made there was sufficient evidence to support that some of the alleged conduct occurred. Appropriate follow-up action has been taken," the letter read. But Ms Maker-North said she has never been told any details about how often the chairs were used or how long Thomas was strapped into them. "Given they were called 'Thomas's chairs' straight out, I can only guess it was probably at least every day, probably for hours a day," she said. "I can only guess this and, given there were two chairs, that tells me they moved him to the classroom, to lunch room and still had him in that chair." Austin Franks was a 15-year-old student at Pennant Hills High School in 2016. He has autism, is non-verbal and has an intellectual disability. 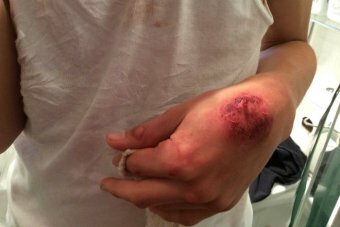 His parents pulled him out of the school in Sydney's north-west when they discovered it was using boxing pads to move him from room to room. "He would come [home] covered in blood," Austin's mother, Caroline Franks, told 7.30 through tears. 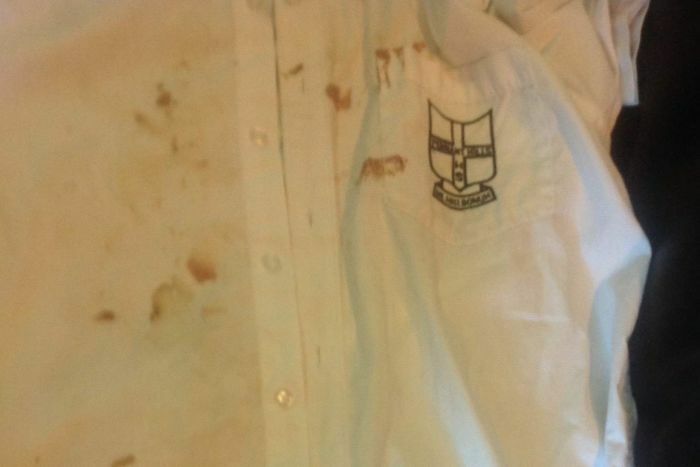 "I would ring the school and say 'what happened?' And they would say, 'oh, we don't know, we don't know what's caused it'. "They failed to mention he was being pushed around with boxing batons or screamed at or not allowed to go to the toilet or access his sandwiches or anything like that." At home Austin was self harming and not sleeping. With Austin unable to explain what was happening to him, his parents employed Tanya Shenoy, a psychology intern, to observe him in the classroom. Over a two-month period she witnessed staff and children using the boxing pads to move Austin around. "They kind of treated him like he was an animal and not like a child, it was very sad," Ms Shenoy told 7.30. The documents show hundreds of similar abusive cases across the state, including children being locked in cupboards, having their heads hit against walls, their arms twisted and being dragged through the school playground. "[They are] screaming out in pain, being physically assaulted and it's being observed by others," family advocate David Roy told 7.30. "And the Department [of Education] had said that's not a reportable offence. I don't understand it." But the incidents are not just confined to NSW. Mr Roy recently appeared at a NSW Parliamentary inquiry looking into educating children with special needs. "The situation in other states seems to be very similar," he said. "They've been having minor inquiries looking at some issues, such as the cage in the ACT, the coffin box in WA and the locked cupboards with no windows in NSW. "We're hearing stories across the board." The NSW Opposition's education spokesman, Jihad Dib, said there had been a failure of duty of care. "It's a horrific way to try to deal with kids, particularly kids who are very vulnerable," Mr Dib said. "What we've seen there, very clearly, is an absolute failure from the [Education] Department and this Government of addressing students who are most vulnerable and in the most need." 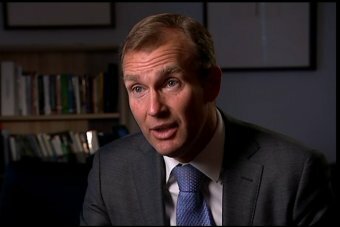 Through 7.30, the NSW Minister for Education, Rob Stokes, apologised to Thomas Maker-North and his mother Georgina. "I was shocked and horrified to see a device like that being used in a NSW public school," he said. "Material like that should never be used in a public school and I stand by that, that sort of device has no place in a NSW public school." When asked about Austin Franks and Pennant Hills High School, the Minister said the boxing pads are no longer being used and said he would personally call the family to help resolve the situation. "It shouldn't have got to a position where there needed to be that sort of device used in the classroom," he said. "But it points to the complexity, that we should be providing as many opportunities as possible for children with challenges to be educated in a mainstream environment." Mr Stokes said he has instructed the Education Department to review procedures and provide more training to teachers. But it's too late for Ms Franks, with Austin too traumatised to return to school. "Nobody wants to see their child hurt," she said. "They would hope that in a place where there are mandatory reporters, a school is supposed to be a safe environment, that's the minimum one should expect." Note: The NSW Education Minister says he has instructed the Education Department to review procedures and provide more training to teachers. Austin was in a support unit in a mainstream school with teachers who had a Masters degree in Special Education and three adults minimum to 10 kids. So more training (more than a Masters in Special Education?) is not an answer; Governments, including NSW, need to recognise and engage qualified (and properly registered) behaviour specialists, and then ensure the advice that they give is followed in schools (schools should not substitute various forms of abuse for appropriate support if they find it too hard, they should ask for more resources until they make it work).